With black tousled hair and an unkempt beard, Damiano Tommasi strikes an unmistakable figure as president of the Italian Footballer’s Union (AIC). Aside from a few flecks of grey, his appearance has barely changed since he made his debut for Verona in 1994, aged just 19. In 2011, Damiano Tommasi appeared to fulfil his destiny when he was elected by fellow professionals to lead the AIC. In fact, he’d spent much of the preceding two decades inadvertently building his credentials for the role. Tommasi broke the mould of the modern footballer. Highly principled, selfless and cerebral, he demonstrated moral and philanthropic instincts from early on in his career. Tommasi opted to undertake civil service rather than military service, declaring he “did not want to serve his country holding a rifle”. Upon establishing himself as a professional, he would oversee the redistribution of his teammates’ disciplinary fines to support charitable causes. Later in his career, he made a sizeable personal donation and – more remarkably still – offered his own labour during the close season to help construct dwellings for migrants in Italy. Tommasi graduated through the academy of his local team, Hellas Verona. He built his reputation as an industrious defensive midfielder; a tenacious tackler with an assured touch and impressive range of passing. In the summer of 1996, as Italy’s senior team floundered at the Euro 96 group stage, the under-21s were busy defeating hosts Spain in their own European Championship. 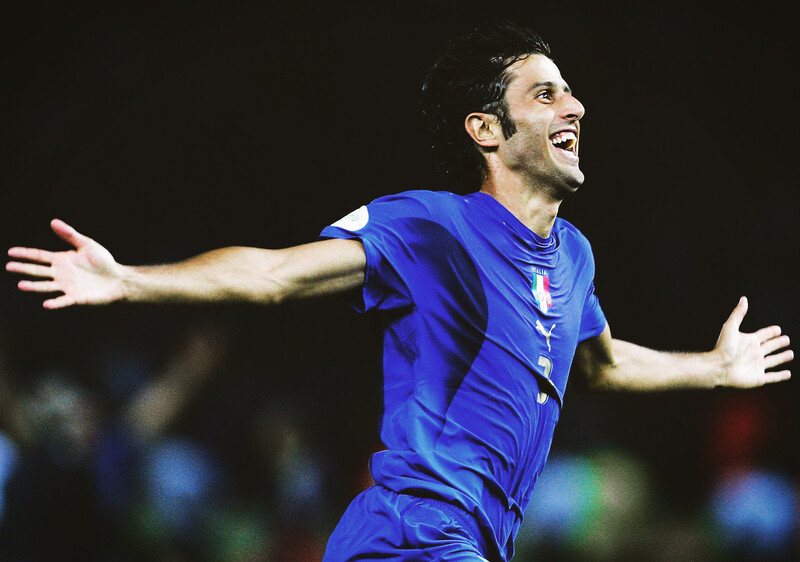 Tommasi was a key member of that team, providing the defensive shield in front of Fabio Cannavaro and Alessandro Nesta. After three seasons in Serie B and with a junior European title under his belt, Roma made their move to bring Tommasi to the Eternal City. The 1996/97 season proved a difficult one for Roma, who stuttered to a disappointing mid-table finish. However, the emergence of Tommasi was a rare bright spot, as he notched 30 appearances during his debut Serie A campaign. There was no looking back by the time Zdeněk Zeman arrived in 1997, Tommasi playing a crucial role in his fabled attacking style. As the deep-lying midfielder, his job was to break up the opposition’s play and initiate the next attack through a forward surge or an incisive pass. 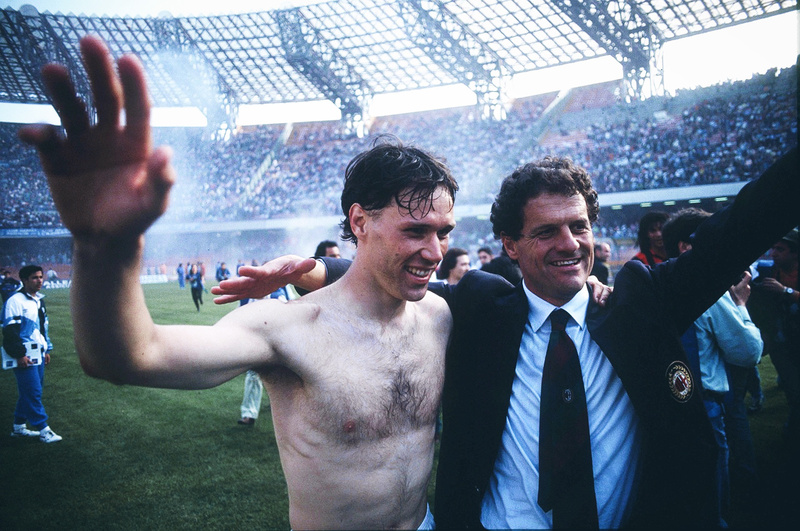 Fabio Capello’s appointment in 1999 lifted both Roma and Tommasi to the next level, ultimately delivering the 2001 Scudetto. Tommasi was one of the first names on the teamsheet and was typically paired with Cristiano Zanetti or Emerson as part of Capello’s double pivot in midfield. This provided an impermeable barrier in front of Walter Samuel, Aldair and Jonathan Zebina, whilst also granting attacking licence to wing backs Cafu and Vincent Candela. At the other end of the pitch, Capello had built a team with an embarrassment of attacking talent in Gabriel Batistuta, Francesco Totti, Vincenzo Montella and the underrated Marco Delvecchio. Typically of Tommasi, he played the role of unsung hero, providing the drum beat and doing the dirty work which allowed the talents of others to flourish. If Tommasi’s contribution to the Scudetto could be summed up in one match, it would be the away trip to third-placed Atalanta in January 2001. Having held title rivals Juventus to a 0-0 draw in the previous game, Roma faced a stern test in Lombardy. Tommasi was imperious that afternoon amidst the torrential rain of Bergamo; warrior-like, he controlled the middle of the pitch and then popped up in the six-yard box to lash home the goal that sealed a 2-0 victory. For his part, Tommasi was ever the reluctant hero, keen to play down his own contributions and to instead shift the focus to others. 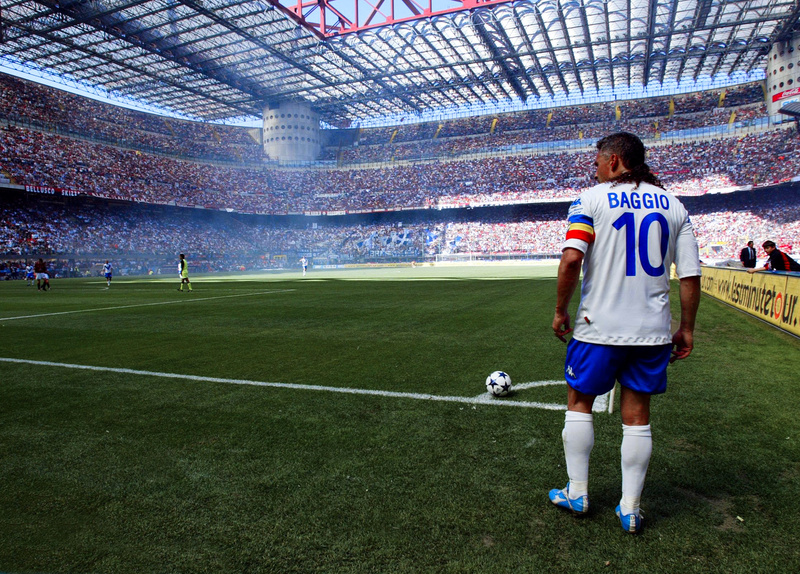 Upon receiving his first full international call-up in 1998, he publicly claimed he was not deserving. It was his form during the Scudetto season that propelled him to become a regular starter for Giovanni Trapattoni’s Italy. Certainly, there were more technically complete midfielders on the peninsula at that time, but none could compete with Tommasi in terms of guile, determination and commitment to the cause. Il Trap favoured two defensive midfielders, allowing Tommasi to reprise his partnership with Zanetti, who had since moved to Inter. Such was the esteem in which Tommasi was held, he was ever-present during the 2002 World Cup campaign, meaning Luigi Di Biagio and heir-apparent Gennaro Gattuso had to settle for bit-part roles. Meanwhile, other defensive midfield alternatives in Massimo Ambrosini, Alessio Tacchinardi and the injured Demetrio Albertini missed out altogether. Fast-forward to pre-season 2004 and Roma travelled to Austria to take on Tony Pulis’ Stoke City in a friendly match. During that game, Tommasi was on the receiving end of a typically robust challenge from Gerry Taggart, resulting in a complete breakdown of his right knee. As Tommasi crumpled to the turf, it was instantly clear that significant damage had been sustained. In the following days, it transpired that he had ruptured cruciate ligaments, and at 31 years of age, it appeared that we might never again see the best of Tommasi. The entire 2004/05 season came and went with Tommasi entrenched in his own personal battle to regain fitness. He was making progress, but it was torturously slow. Even as his teammates returned for pre-season training in the summer of 2005, he was unable to join them. There was no doubting Tommasi’s commitment; his surgeon commented on his “miraculous” strength and desire to return. However, his impending contract renewal presented Roma with a dilemma. Continuing financial constraints meant that resources had to be used prudently, yet the Giallorossi felt they owed it to Tommasi to see if he could regain his previous form and fitness. The compromise was an offer of a one-year extension on comparable terms. To their great surprise Tommasi turned the contract down – though not in favour of a better offer elsewhere. He tabled a counter-proposal to Roma: one year at the minimum wage of €1,500 per month. Tommasi was financially secure and what truly mattered to him was a return to playing at the highest level. In addition to his personal battle, he felt consumed with guilt that he had been drawing a wage for the previous 12 months without contributing to the on-field cause. In truth, he had served Roma loyally for almost a decade and owed the club nothing. But this was something he felt he needed to do to restore his honour. In October 2005, Tommasi finally donned the Roma shirt again, initially making cameo appearances from the bench against Ascoli, Messina and Juventus. He started his first game against Fiorentina wearing his favoured number 17 shirt; poignantly, 17 months after the devastating injury had occurred. He would have been forgiven for approaching the match with some trepidation. Indeed, after such a sustained period of rehabilitation, he must have harboured doubts as to whether the knee could still meet the demands of playing at this level. If any such doubts did exist, they weren’t apparent. Tommasi swept into a 50-50 challenge with Tomáš Ujfaluši after just 40 seconds, emerging with both the ball and a free-kick in his favour. In just the second minute of the game, Roma turned over the ball inside the Fiorentina half and Antonio Cassano broke clear down the right. Towards the bottom of the picture, the distinctive figure of Tommasi can be seen, straining every sinew to get into the box. He arrives just in time, fractionally ahead of Ujfaluši, to steer the ball into the net. A scene of unbridled joy unfolds. He’s immediately ensconced by a mob of teammates who know exactly what this moment means. Tommasi eventually emerges, the emotion etched upon his face as he gestures towards the stands of the Stadio Olimpico – a tribute to those who had been by his side throughout this arduous journey. Nobody could begrudge him this moment; it was simply meant to be. 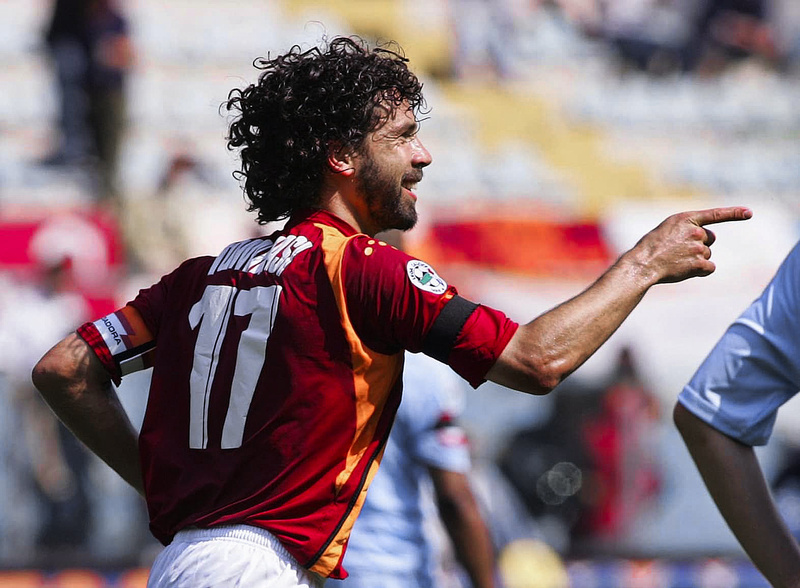 From there Tommasi grew in stature, going on to feature in all but two of Roma’s Serie A matches that season. He helped the club reach the last 16 of the UEFA Cup and came agonisingly close to a Coppa Italia winners medal, before the Giallorossi were edged out by Inter in a two-legged final. In Tommasi’s mind, his debt to the club and its supporters had been repaid and redemption achieved. Finally at peace, he parted ways with Roma that summer, spending two years with Levante in Spain before nomadic spells in England at QPR and China at Tianjin Teda. Tommasi’s physical resilience and mental fortitude must be admired; he hauled himself back from the depths of his injury torment to re-establish himself as a key player at Roma, and then remarkably played on competitively into his mid-30s. But the admiration and respect for Damiano Tommasi is pervasive, extending far beyond one club. He’s a man of substance, a role model, a hero both on and off the pitch, and a truly noble footballer.